New - DIR-850L Rev B FW v2.07 Build 05 Official Release - All Regions! Re: New - DIR-850L Rev B FW v2.07 Build 05 Official Release - All Regions! I wonder this works with malaysian Unifi broadband which uses Vlan? thanks! If your unit came from that ISP or if your ISP has specific HW configurations, it won't. You should check with the ISP first to see what is supported. I'm testing this version in Brazil. In wifi guest I set that it could access my wifi common but this option does not work. Has anyone noticed this? Can you be more descriptive on what your trying to do? Are you enabling Guest Zone WiFi? The problem is here, Enable or Disable this option I can´t access my computers and NAS DNS-320L. Sometimes I needs that Guest access my DNS-320L and computers in share, sometimes I disable it. Ok, I see what your saying. I presume that when the the Internet Only Access is enabled, then guest zone connected clients should only be able to access the internet and not any LAN side resources. When disabled I presume they should have access to the LAN side resources. If you disable the Internet Access Only and reboot the router. Can Guess zone clients access LAN side resources?" Dear FurryNutz , Exact! You understand. This is the problem, Enable or Disable I can not access Lan features. If I connect to Guest Wifi I can not even access the router. I tested manualy rebooting the router too. This is something that needs to be looked at by your regional D-Link support office as this seems to be a FW issue. 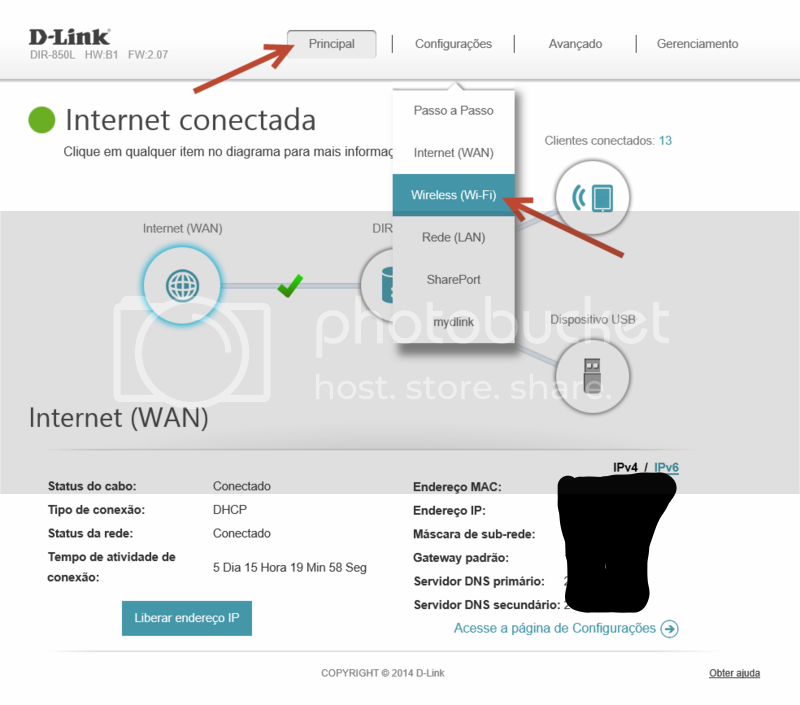 I recommend that you phone contact your regional D-Link support office and ask for help and information regarding this. Reference this forum thread for additional information. We find that phone contact has better immediate results over using email. After updating to to version 2.07 (http://global.dlink-intl.com/starhub/dir-850l-upgrade-guide/#step2-download) I can no longer login to the admin panel after I press the reset button. Please help. Is this a router that you bought from a retail store or one from an ISP service? Did you follow this process?